Peter; the Rock or satan? To say Catholics do not read the Bible is like saying fish don't swim in water. Every day we journey through the Bible at Mass with readings from the Old Testament, the Psalms and the New Testament. Within a three year cycle period we would have gone through the entire Bible. There is always a story to be told and wisdom and knowledge to gain. Do you pay attention to the readings each week at Mass? Last week Sunday (21 Aug) we had a chance to listen to the Gospel taken Matthew 16:13:20 where Jesus declared to Peter that he (Peter) was Rock and upon him (Peter) the Church was going to be built. A difficult fact for many Protestants to accept. This week Sunday (28 Aug) Jesus says something to Peter that would make one quiver today if said to them, Matthew 16:21-27. This is one of those times we talked about when Peter puts his foot in his mouth. After Jesus told his disciples that He must suffer and die and on the third day be risen from the dead, Peter rebukes Jesus by expressing his disapproval. Does Jesus comfort Peter for upsetting him with such harsh truth? Rather, quite the opposite, Jesus refers to Peter as satan and tells him to get behind him. Poor Peter, picked up one minute and dropped backdown the next. These harsh words did not deter Peter from following Jesus. He continued on course, still stumbling along the way of course. He knew how to recognize his errors, correct them and move on. Having already tried to tempt Jesus while He fasted for forty days and forty nights in the wilderness satan knew he would have to find another way to stop Jesus from going to Jerusalem. Peter being close to Jesus and having just been handed the keys to God's Kingdom should be an easy target. Jesus recognized right away the devious plan by satan and rebuked him just as He did when he fasted, Mt 4:10 "At this, Jesus said to him, Get away, Satan! It is written: ‘The Lord, your God, shall you worship and him alone shall you serve.'" The closer we get to Jesus the easier it is to identify good and evil. Satan is always looking for an opportunity to strike. Temptation seems to be so obvious when we are walking with Jesus and appears to come more frequent. It is satan's plan to devour those who work to build up God's Kingdom. St Peter reminds us in 1 Pt 5:8 "Be sober and vigilant. Your opponent the devil is prowling around like a roaring lion looking for [someone] to devour. Don't become that someone! 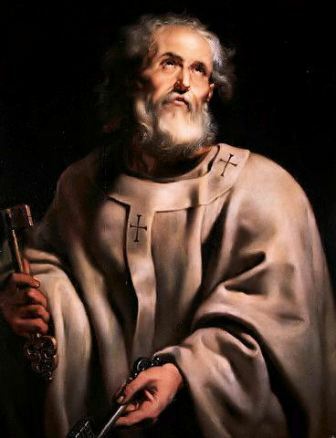 Peter was closer to Jesus than any or the other disciples, but that did not exempt him in any way from satan's claws. He knew too well what it was like to be tempted; he certainly had his moments. So as an expression of his faith he leaves us with these words from 1 Pt 5:9 "Resist him, steadfast in faith, knowing that your fellow believers throughout the world undergo the same sufferings." Peter has been there also and knows too well how conniving the evil one is. So yes, I'm guessing we can say indisputably that Peter is the Rock. Taking a deeper look at Peter's call to lead, Jesus warned Peter of satan desires to sift him like wheat (Lk 22:31-32), but indicated Peter that He prayed that his faith will not fail (foretelling Peter's denial); and once Peter turns back, that he (Peter) must strengthen his brothers (the other disciples). Peter was probably wondering to himself "what will I turn back from"? Peter being Peter is quick to defend Jesus by saying he will go to prison and die for Jesus, but will soon once again disappoint. Further to Jesus' conversation with the disciples he says something that is so difficult for many of us today to take charge of. We are all called to pick up our cross and follow Jesus. Sounds rather simple doesn't it? In actuality it isn't, but it is expected. We have all at some time or another in our lives fallen short of God's glory and we will continue to do so until He returns. We are being called to deny ourselves and follow the will of God. It can be a good practice to stop and think about what you are doing and ask yourself it is pleasing to God. I saw a billboard at a local Church sometime ago that said: "You cannot walk with God and hold the devil's hand at the same time." Picking up our cross may not be fashionable too many but it is the way to Jesus. We have been given free will therefore we have options, follow Jesus by denying the ways of the world or walk down the path of destruction. As Peter will be Peter, he always get back up and brushes his feet off and onward bound he goes. He knew the right path to follow. After denying the Lord that he loved so much, did Peter hide never to be seen again, or commit suicide in shame for denying Christ? Absolutely not, he accepted and admitted his faults and moved on. Satan knows how to make us believe we are unworthy. Don't ever believe that what you may have done can offend Jesus where he will not want anything to do with you. Peter accepted his role within the Church with humility and courage. 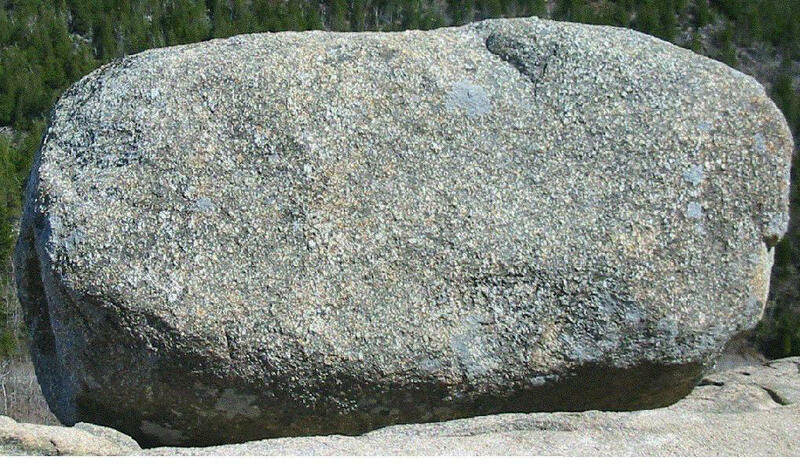 Let Peter be our example of a Rock with a capital "R".